This is a post from 2009, updated heavily. Timken Roller Bearing. 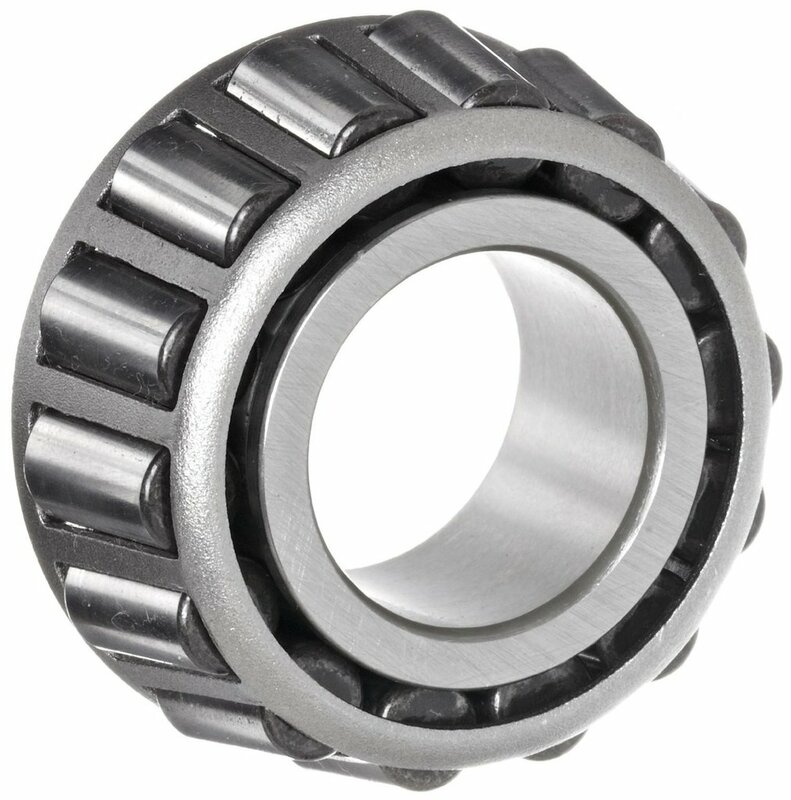 They make roller bearings, the things that make shafts and wheels turn with less friction and more precision. We talked about where these roller bearings went, and it became clear to me that steel from Pittsburgh came to Canton, was made into bearings that traveled to Cleveland where they became wheels for cars assembled in Detroit. Along the way they met up with rubber that came in the port of Baltimore to Akron and became tires. About 100 years ago the whole state of Ohio became something like an enormous factory – a label that won’t sit well with the people who live in the rolling farmland of southern Ohio, but they know what I mean. I thought of this recently as GM pitched and rolled through a quickie BK. After all, it was the General along with the other two that created this assembly line that culminated in Detroit. It was all economy of scale back then, an efficiency gained through division of labor. Everyone specializes and does the same thing over and over, getting damned good at it. Entire tows like Canton had one thing in mind. As the years wore on, however, scale wasn’t quite enough. The cost of carrying inventory, in both money and quality control, caused the automakers to squeeze their production into a lean athletic shape. More outsourcing to independent suppliers created odd dysfunctional relationships like a family, careening between Ozzie and Harriet and la Cosa Nostra. Canton fell on hard times. Cars, and other things, are made very differently today. The great migration of material through the continent that made our car companies possible will have to be replaced by an incredibly efficient machine that holds nothing any longer than it has to, getting its supplies of parts each day to last them just that day and pushing the cars out the door made to order. The old economies of scale are dead. What does this mean for places like Canton? If nothing else, they can’t survive being just one cog in the great mechanical wonder that spits out cars – but they know this. But the reality of reduced inventory and a greater commitment to the whole will continue to change manufacturing as we know it. Another project I was working on, when I was even younger, involved reducing the inventory of finished product in a plant. They had about 4 days worth of stuff that was gradually wrapped up and sent off in trucks to the distributors. I found the solution when I saw a small fleet of trailers parked on the back lot – we cut 7 more dock doors, parked the trailers in the new holes, and put a sign on each one for the distributor it was going to. Finished product was loaded directly into the trailer, eliminating the need for any other place to store it. The factory went from a total of 7 days total dwell time to about 3.5 – but there was still a problem. Those trailers spent a good 2 days on the road, meaning that once we had done just about everything we could the limits of transportation started to seem significant. How will a small company like Tesla or just about any other manufacturing operation be able to make it without great heaping gobs of capital that create economies of scale? Eventually, after all the wisdom of W Edward Deming has been exhausted it comes down to transportation. The wonder of the great factory known as Ohio isn’t in the towns that built one thing and built it well, it was in the trains that pulled it all together to make it something valuable. The faster we can move stuff, the more we can keep our real world at pace with our ever increasing information exchange and the rate of change it can create. Great ideas about the new economy are one thing, but we have to make them real if we’re going to restructure ourselves to the economy that replaces what we once had. Some of that will include manufacturing, whether it’s solar cells or consumer electronics or cars. Towns like Canton probably won’t want to cast their lot so completely with one industry anymore, having been once burned, but the ability to specialize is a good thing for overall efficiency. The secret is how those specialties are integrated, and a big part of that is our transportation infrastructure. This entry was posted in People & Culture and tagged just in time, manufacturing, work. Bookmark the permalink. Multi-national companies are working today transcontinental, but in your article you neglect this fact completely. However, the hostile policy of the US government against each and everybody in the world will be harmful especially for the US American economy and trades. Multi-national companies or even mid-sized enterprises can and will not rely on such an instable country changing its trading policies from day to day in an attempt to demolish economies of other countries such being bad for the world as a whole. I don’t know how it is in the US, but here in Germany the ‘just in time’ concept often means that truck drivers have to drive around in circles for hours (creating unnecessary congestion and pollution) until it is ‘just in time’ for their stuff to be delivered.